Alfa unveiled the 4C concept in 2011. The car is rakish, compact and extremely low to the ground. TURIN – Fiat Group's luxury sports car brand Maserati will build Alfa Romeo's new halo model, according to company sources. The car is a rear-wheel-drive coupe called the 4C. Fiat said on Thursday that Maserati will build a new vehicle for Alfa in Modena, Italy, starting in May 2013, with a forecast annual production of up to 2,500 units. Fiat did not name the car, but company sources told Automotive News Europe that the model will be the 4C. 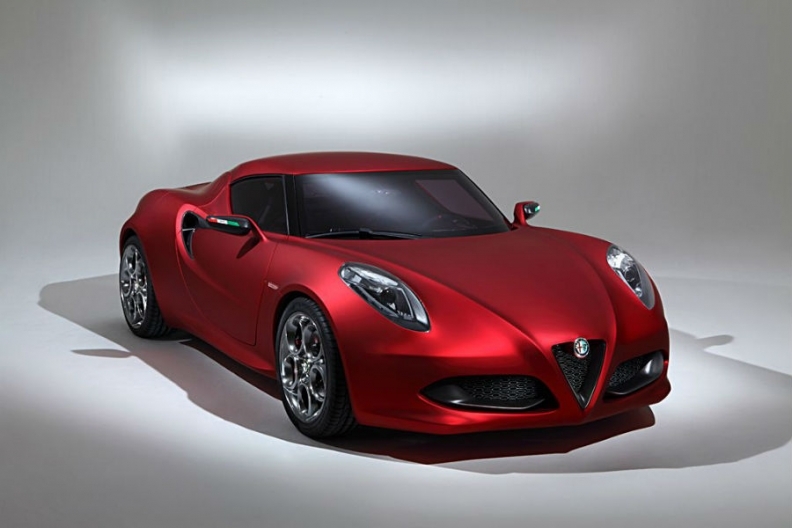 The 4C likely will be the first car sold by Alfa in the United States when the brand relaunches in the market in mid 2013. In Europe, the 4C will be priced at about 50,000 euros ($66,000), company sources said. There is no word yet on U.S. pricing. Alfa enthusiasts have dreamed for almost two decades of the return of an affordable rear-drive model after the Duetto Spider was discontinued in 1994. Alfa's 8C Competizione, which was built from 2007-2008, was too expensive for most Alfa buyers. The spider version of the 8C cost up to 213,000 euros. The 4C was unveiled as a concept at the 2011 Geneva auto show. The two-seater has a central engine and is about 4 meters long with a 2.4-meter wheelbase. It will be powered by a new aluminum 4-cylinder 1.8-liter turbocharged direct- injection engine. Alfa plans to make the 4C as light as possible at about 850 kg. At that weight, the 4C would have an impressive power-to-weight ratio below 4.0kg/hp. Maserati built the 8C Competizione coupe for Alfa from 2007 to 2010. Fiat chose Maserati to build the 8C because Alfa does not have the expertise to build low volume, hand-built models. The sports car maker was picked to produce the 4C for the same reason, sources said.